Roy Lichtenstein is known for using primary and secondary colors to paint organized dots which turn familiar objects into pop art. Lichtenstein. He’s only dots. Filled circles of uniform size and repetition. That’s what I thought before I visited Chicago’s Art Institute and viewed Haystack 1969. Lichtenstein’s impression of Monet’s impression of a haystack. As I approached the painting I recognized Monet’s image. But Lichtenstein’s work is not a copy. It’s another masterpiece. I looked up-close and the haystack vanished. Genius appeared. A yellow background behind red circles evenly spaced and sized. 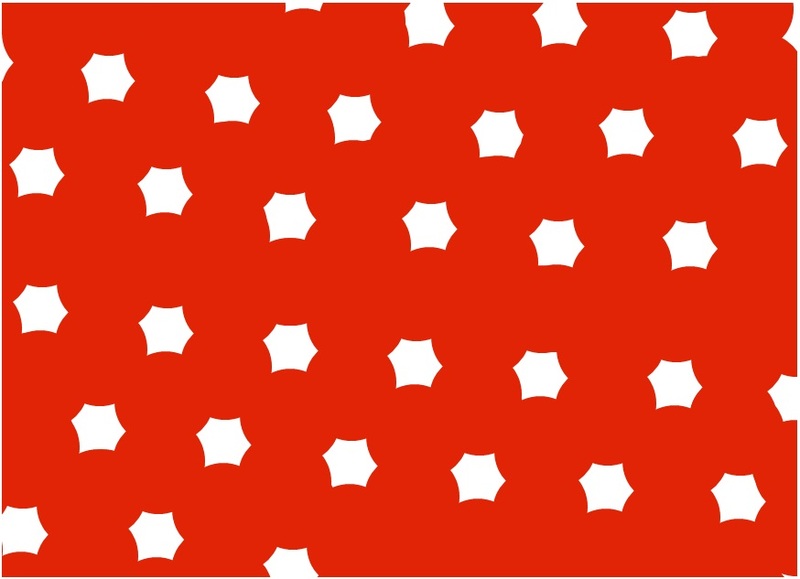 And repeating white shapes that are not dots, but six-pointed starbursts. Something other than dots? In a Lichtenstein? Further in the exhibit I discovered a sketch titled Haystack and Haystacks (Studies). It’s Lichtenstein’s 1968 plan for the 1969 painting. I saw the plan! A pencil drawing and margin notes regarding arrangement of dots and colors. It revealed that each starburst is background showing through the center of overlapping dots. Maybe you knew, but I needed the notes. Placing dots in a circle is easy. But how to configure the dots to create a desired shape? And how to construct the pattern? There are many possibilities. As I thought through the arrangement problems, I wondered if Lichtenstein had similar thoughts. Studying Haystack 1969 and its plan reveals Lichtenstein’s genius. It’s work to turn an idea into a masterpiece. Even for an accomplished artist.